Welcome to youngsautocenter.com, the official website of North Carolina’s Largest Independent Auto Salvage dealer! Young’s is a local, regional and national leader in the used auto parts and salvage Industry with its NC origin dating back to 1963. Young’s has 6 convenient recycled auto parts purchasing locations including Dudley/Goldsboro, Benson, Spring Lake/ Fayetteville, Spring Hope, and Wilson/Greenville, NC. In addition to our used auto parts center locations, we also offer a self-service U-Pull-It Yard, and 4 local salvage, junk and scrap vehicle buying locations. Young’s incorporates a large mobile car crushing fleet with almost 1 million salvage vehicles crushed since buying their first mobile auto crusher back in 1977. With over 20,000 used parts vehicles and thousands of square feet of warehoused used parts in inventory, Young’s Used Parts Division offers a huge selection of premium used car, truck, van and SUV parts from all years, makes and models both foreign and domestic. A companywide “Hands on” approach to management and ownership guides the Young’s team of almost 175 employees and sub-contractors to one common goal… “Satisfied Customers”! So, whether you are searching for the smallest used part on a salvage vehicle or buying a shipping container full of premium used auto parts to export overseas, whether contracting us to crush out thousands of scrap and salvage vehicles or selling a single wrecked car across one of our 4 certified scales, you have our continued commitment to solve your auto recycling needs! Please take a few moments to browse our Website and we thank you for using Young’s Auto Center and Salvage. Call Our Expert Sales Staff for Complete Details! 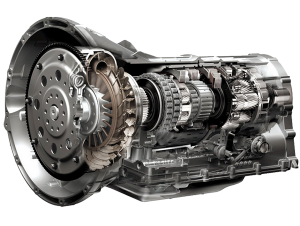 We sell and install completely remanufactured transmissions for your car or truck! These are not rebuilt transmissions but are remanufactured good as new! We buy junk cars! Young’s Auto Center & Salvage accepts all makes and models with or without a title. Selling your junk car has never been easier!